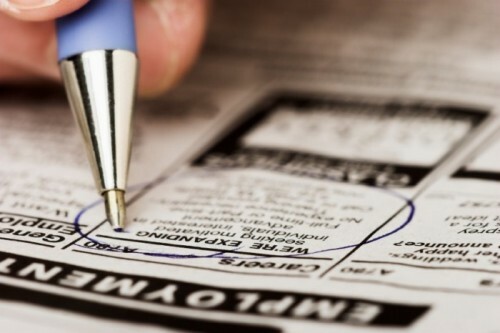 With the latest month’s employment report from the U.S. Bureau of Labor Statistics, there’s the continuing problem of looking at the two topline numbers and ignoring the fact that those two pieces of data come from completely different sources. And those two sources can often tell different stories on jobs. Consider, for example, that the BLS employment report for September, which was released on the morning of October 5, highlighted that the unemployment rate declined from 3.9 percent in August to 3.7 percent in September, and nonfarm payroll employment grew by an underwhelming 134,000 in September. Hmmm, so what’s the deal? As I have explained before, the payroll numbers come from the establishment survey, which tends to cover larger and more established businesses. Meanwhile, the unemployment rate, along with more valuable data such as the labor force participation rate and the employment-population ratio, come from the household survey. The household survey tends to be more volatile on a month-to-month basis, but also better picks up startup and small business activity. Now, having said this, while the establishment survey showed strong employment gains in August (+270,000), the September number again slowed notably (+134,000). Meanwhile, the story was flipped for the household survey. In August, employment actually fell by 423,000, while September saw an increase of 420,000. The employment-population ratio moved from 60.5 percent in July to 60.3 percent in August and 60.4 percent in September. As for the labor force, it dropped by 469,000 in August, but increased by 150,000 in September. And the labor force participation rate moved from 62.9 percent in July to 62.7 percent in both August and September. Eventually, the differences between the two surveys tend to work out, with the data largely coinciding over stretches of time. ● Total nonfarm payrolls are up by 2.5 million over the past year. ● The labor force in September 2018 basically stood at the same number as in February of this year, with the labor force participation rate actually falling from 63.0 percent in February to 62.7 percent in September. ● Total employment according to the household survey has seen a 1.53 million increase in jobs from January 2018 to September 2018, with the employment-population ratio rising from 60.1 percent to 60.4 percent. So, the recent trend on jobs has been pretty strong, while the nation still faces problems in terms of coaxing people back into the labor force.